In Fallout 4’s latest amusement park-set expansion, Nuka-World, there’s a chap who lives in the Southern-most point of the new area named Evan. 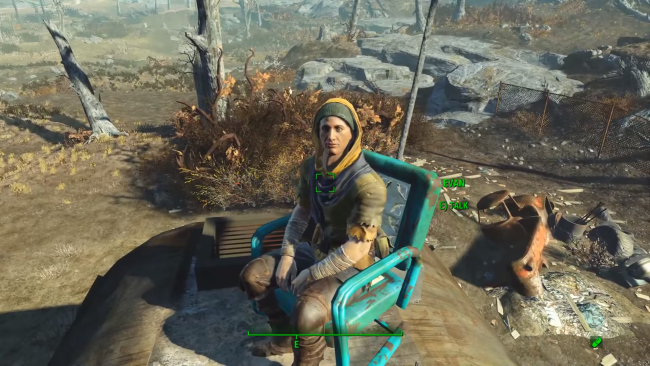 You might’ve seen him kicking back atop a caravan, chilling under a well-worn parasol, but what you may not know is that his character represents a touching tribute from Bethesda. In a Reddit post two months, user NoohjXLVII wrote at length about how Fallout 4 helped him cope with his father’s untimely passing, and how he and his brother Evan would often speculate on what they’d do if the in-game event actually happened in reality. Towards the end of the post, there are a succession of emotional updates which explain that Evan has taken ill and, aged just 24, has passed away from diabetes-related complications.